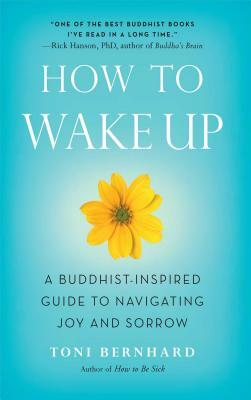 Intimately and without jargon, How to Wake Up: A Buddhist-Inspired Guide to Navigating Joy and Sorrow describes the path to peace amid all of life's ups and downs. Using step by step instructions, the author illustrates how to be fully present in the moment without clinging to joy or resisting sorrow. This opens the door to a kind of wellness that goes beyond circumstances. Actively engaging life as it is in this fashion holds the potential for awakening to a peace and well-being that are not dependent on whether a particular experience is joyful or sorrowful. This is a practical book, containing dozens of exercises and practices, all of which are illustrated with easy-to-relate to personal stories from the author's experience. Toni Bernhard is the author of the award-winning How to Be Sick: A Buddhist-Inspired Guide for the Chronically Ill and their Caregivers and How to Wake Up: A Buddhist-Inspired Guide to Navigating Joy and Sorrow. Until forced to retire due to illness, Toni was a law professor at the University of California-Davis, serving six years as the dean of students. She has been a practicing Buddhist for over 20 years. Her blog, "Turning Straw Into Gold" is hosted on the website of Psychology Today. She can be found online at www.tonibernhard.com. Accessible, useful, and filled with Bernhard's personal insight and wisdom gained from her own challenging experiences with illness and sorrow. It has been a path that has led her to a place of contentment, a place to which she now leads her readers.”Joy H. Selak, author of You Don't Look Sick!